If you plan on doing any serious riding, then you need the right size girth. 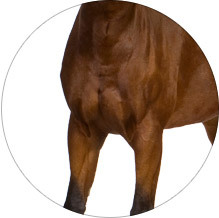 A girth that fits properly can help ensure a more comfortable and confident ride and it will also allow the horse to move more freely and give him or her some breathing room; an illfitting girth can rub and chafe, causing irritations and skin problems. Figuring out the proper size may seem confusing but the truth is, its simple once you know how and were here to help. 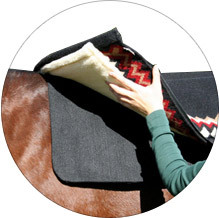 Begin by setting your saddle pad and saddle on your horse but dont attach the girth yet. 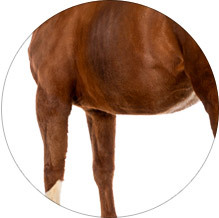 Find out where the horses heart girth is (usually 4 inches behind his elbow). Look for a slight curve on the side of his or her stomach area. 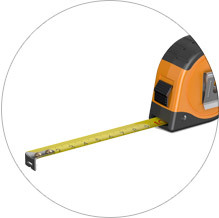 Hold the tip of the measuring tape on the second hole from the bottom of the billets. Remember that different saddles will have different billet strap lengths, so you may have to change your girth size if you change your saddle. 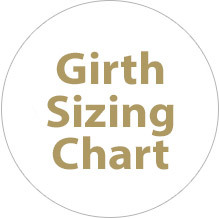 Also, if you measure a used girth to obtain the desired length for a new girth, remember that the old girth has probably stretched. Grasp the loose end of the measuring tape, wrap it under your horse where his or her heart girth is located, and up to the second or third hole in the billets on your side of the saddle. Read the measurement in inches and use the following formula to calculate the girth size  The measurement of your horses heart girth is divided by 2 and then subtracted by 3. Odd numbers are usually rounded up since most English style girths are only available in even numbered sizes. When fitting a girth, make sure there is enough space between the girth and the horses body to fit three to four fingers (be sure that you have at least three to four fingers width between the top of the girth and the bottom of the saddle pad and saddle flap on both sides). Ideally, it should feel snug but not tight against his or her body. It also needs to be tight enough that the saddle wont slip or move. Have an old saddle lying around? Sell it on our new classifieds section free!